Business address: Kate Gomez BACP, The St James Trust, 11 Blatchington Road, Seaford, East Sussex, BN25 2AB. 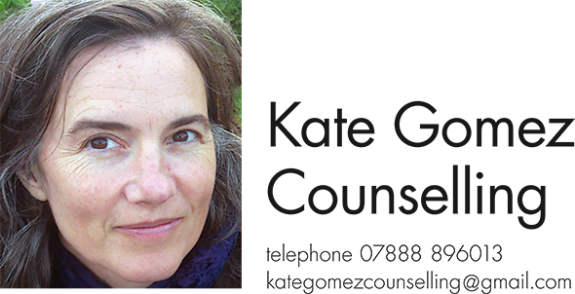 I am an experienced, professionally registered counsellor and psychotherapist based in Seaford, East Sussex. Please use the website menu to learn about me and the ways I can help you, and don't hesitate to contact me with your questions.